Dancebox Studios - Can You Dance? 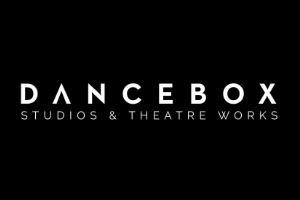 Dancebox Studios & Theatre Works provides rigorous & relevant 3-year, full-time professional training for dancers who aspire to excel in the cruise, cabaret and musical theatre industries. In a course designed and led by ex West-End professionals this regional centre of excellence provides exceptional professional training, in industry leading facilities in central Milton Keynes, just 30 minutes by train from London’s West-End. The training at Dancebox College is personal, with only 25 dancers in each year group. This means that although the audition process is very selective, the college is able to provide un-paralleled levels of financial support and opportunity to a small number of exceptional dancers. The training at Dancebox College is rigorous and relevant, with a timetable which includes daily Ballet class, Technical Jazz, Heels Technique, Tap, Commercial, Lyrical, Singing, Integrated Performance and Body Conditioning. The college also has some of the best industry connections, so graduates can be assured of support and guidance in the transition from student to professional dancer.